Robert S. Seiner (RSS): Mike, it is great to get the opportunity to interview you for the pages of TDAN.com regarding your latest book, Data Resource Simplexity. You and I have known each other a long time and you have said some very nice things about my publication, TDAN.com, over the years. Thank you for everything you have done for the data management industry. What have you been working on these days since the new book has been published? Michael Bracket (MB): It has been a long and enjoyable time, Steve. TDAN.com has been an enduring and consistent high-quality publication over the years. You have earned yourself quite a reputation. After Data Resource Simplexity, I launched into my next book on Data Resource Integration. It covers the broad topic of how to resolve the disparate data resource that most public and private sector organizations have today. It includes both data architecture integration and data culture integration. Data Resource Simplexity focused on how to stop the burgeoning data resource disparity in most public and private sector organizations. Data Resource Integration focuses on how to clean up the existing data resource disparity. In addition to writing, I enjoy a lot of outdoor recreation. I get to the mountains hiking, cross-country skiing, or snowshoeing two or three times a week. I do considerable outside reading in a wide variety of topics, and spend time with kids and grandkids. RSS: Just to let you know, Microsoft Word displays a red squiggly line under the word “simplexity” meaning that it does not recognize the word or that it is misspelled. Obviously neither is true. Is “simplexity” a word you came up with or did you get it from somewhere else? What does it mean and how does it relate to data resources? MB: I get that question many times, and even get accused of making our lexicon worse rather than better. The answer is rather straightforward. I have a huge quantity of material that I collected over the years about what is wrong with data resource management and how to properly manage an organization’s data resource. I was looking for a way to organize and present that material in a meaningful manner—which is not a trivial task. By chance I read two very interesting books. The first was Simplexity: How Simple Things Become Complex (and How Complex Things Can Be Made Simple) , by Jeffrey Kluger. I found the book very interesting and was considering how I might apply his thoughts to the data resource. He formed “simplexity” from a combination of simplicity and complexity. The next book I read was Collapse: How Societies Choose Failure or Success by Jarred Diamond. Then that flash of insight hit (actually while back-country hiking) and I had the theme for my book using the ideas from those two books. Hence, the title Data Resource Simplexity: How Organizations Choose Data Resource Success or Failure. Therefore, the word simplexity already existed and I adapted it for data resource management. Incidentally, my Microsoft Word spell checker recognizes the word (of course I added it to my dictionary). The basic theme of Data Resource Simplexity is how the data resource becomes so complex (disparate) and how to make it simple (comparate), plus how organizations can choose whether the data resource remains simple or goes complex. RSS: Tell my readers a little bit about the book. Where did you come up with the idea, how long has it been in the works, and is it related to any of your previous books? MB: I explained the idea above, and it has captured the attention of many people. I started pulling the material together in August of 2010. With a long winter of writing, and frequent breaks for outdoor recreation, I had the book to the publisher mid-February of 2011. When I hit a particularly rough spot, I’d head for the outdoors and do that ‘blue sky thinking.’ I’d come up with a solution and head back home to the computer. Fortunately, I have some 35 trails within an hour’s drive of my house. Data Resource Simplexity is closely related to my previous books. It’s based on the Common Data Architecture concept that I’ve used since the early 1990s and published in 1994. I basically enhanced and reorganized the material into a sequence of theory, concepts, principles, and techniques. I also added many new principles so that the Common Data Architecture concept is now principle based. I adjusted some of the terms, enhanced many existing definitions, and added many new definitions. The Glossary contains some 600 definitions. Incidentally, about 150 of those definitions were included in the DAMA Dictionary of Data Management. The only reason more were not included is that the foundation for the definitions had not yet been published. The Glossary from Data Resource Simplexity and Data Resource Integration are available to DAMA for inclusion in the next version of the DAMA Dictionary of Data Management. RSS: The subtitle of the book is “How Organizations Choose Data Resource Success or Failure.” This subtitle implies that success is a choice. What does that mean? Why do so many organizations have a difficult time making this choice? MB: Yes! Organizations do have a choice! The data resource just doesn’t happen – at least it shouldn’t just happen. As Jeffrey Kluger explains in his book about societies choosing to fail or succeed, public and private sector organizations have a choice about how their data resource is developed. They have a choice whether the data resource is successful for fully supporting the business information demand, or whether it fails to meet that demand. Data Resource Simplexity presents basic concepts and explains how organizations choose to follow those basic concepts, or choose to ignore those basic concepts. 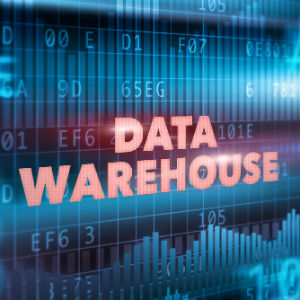 Organizations that have massive quantities of disparate data have consistently chosen to ignore the basic concepts of managing data as a critical resource of the organization. Data Resource Simplexity emphasizes that data are a resource equivalent to the financial resource, the human resource, and real property. The data must be managed as a critical resource the same as the other three critical resources are managed. If the other three resources were managed the way the data resource is managed today, organizations would be in chaos, and civil and criminal law suits would be filed. For example, look at what has happened recently when human resource management concepts are not followed, when real property management concepts are not followed, and when financial management concepts are not followed. Why do organizations have a difficult time making the choice? I answer that question right up front in Data Resource Simplexity. First is the constant change that IT in general, and data resource management in particular, face. The change is coming from the changing business needs and the resulting change in information needs (which is based on the data resource), and from the changing technology. These changes are constant and relentless, and most data resource management people have not learned to properly manage constant change. Second, and more serious, is the prolific, ongoing hype-cycles that are riding on the constant change. Most of these hype-cycles are perpetuated by personal or financial incentives. As long as people and organizations can gain income from books, publications, conferences, software, consulting, education, and so on, a hype-cycle continues. When the incentives disappear, the hype-cycle fades and is replaced by a new hype-cycle. Data Resource Simplexity explains many of the past and current hype-cycles, and even predicts some future hype-cycles if formal data resource management is not implemented. Third, and most serious, is the attitudes of many people about data resource management. The attitudes build on the hype-cycles and are enforced by an extremely weak data management lexicon. Many people say that data management has a very rich lexicon. In fact, data management has a very weak lexicon with a multitude of terms that are wrong, misused, abused, multi-defined, and eventually discarded. Data Resource Simplexity explains many of these terms and why they should be abandoned. The massive Glossary is a step toward a formal lexicon the supports data management. RSS: Tell us a little about how the book is laid out. Walk us through your thought process as you were writing the book. MB: The basic organization of the book is to present the problems with data resource management today and then present solutions to those problems. The first chapter explains why rampant data disparity exists in most public and private sector organizations. The second chapter explains how organizations can set about stopping that disparity and developing a comparate data resource. The third chapter explains how the Common Data Architecture concept can be used to stop the rampant disparity and achieve a comparate data resource. Incidentally, I’ve been questioned about the word comparate and whether it is a real word. Disparate is a prominent word, but comparate is little known. I did find comparate in one of those huge dictionaries on a pedestal in the foyer of a major library. Comparate is literally the opposite of disparate. Hence, I use those two words. I equate low quality to disparate to complex, and I equate high quality to comparate to simple. Chapters 4, 5, 6, 7, and 8 explain the concepts, principles, and techniques for properly managing the five components of the data architecture: formal data names, comprehensive data definitions, proper data structures, precise data integrity rules, and robust data documentation. Chapters 9, 10, 11, 12, and 13 explain the concepts, principles, and techniques for properly managing the five components of data culture: reasonable data orientation, acceptable data availability, adequate data responsibility, expanded data vision, and appropriate data recognition. The last chapter explains why data are a critical resource of the organization, why a formal data resource management profession is needed, and how organizations do have a choice for proper data resource management. RSS: What is the target audience for the book and what are the core messages that you share through the book? MB: The target audience is quite broad. Data resource managers and business managers alike can gain insight from the messages presented in the book, both what’s wrong with data resource management today and what needs to be done to properly manage data as a critical resource of the organization. Many of the concepts and principles presented in the book can be used to develop organizational initiatives for properly managing the data resource. Knowledge workers can gain insight into how the data resource can, and should, be managed and the benefits that a comparate data resource can provide to the organization. Technical staff can gain insight into how to build and maintain a comparate data resource, and how to fully utilize that data resource to support the business information demand. The core message is first that the data resource in most public and private sector organizations is bad and is getting worse by orders of magnitude, and is not fully supporting the business information demand of the organization. Second, a comparate data resource that fully supports the business information demand is achievable by following relatively simple concepts, principles, and techniques that exist today. Formal data resource management is not something that needs to be figured out and then applied. 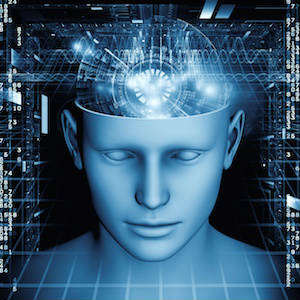 The concepts, principles, and techniques are readily available and can be easily implemented. Third, organizations do have a choice whether or not they formally manage their data as a critical resource of the organization. Fourth, a formal, certified, recognized, and respected data management profession needs to be established. RSS: Is this the same audience that has been the target for your previous books? MB: The audience is essentially the same as the previous books, with more emphasis on business professionals and management. The message must go to both business and IT professionals, and must go to everyone from managers to technicians. Only with the concerted effort of all people in an organization that develop or use the data resource can a comparate data resource be developed that fully supports the current and future business information demand of the organization. RSS: It has been a few years since you left the position of President of DAMA International. When you look back, what do you consider being your biggest challenge while you were in office? 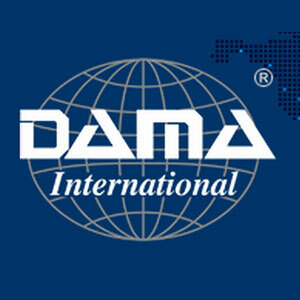 What are some of the biggest challenges DAMA International face today? MB: The biggest challenge with DAMA was, and still is, to develop a formal, certified, recognized, and respected data management profession. Currently, data management is a collection of disciplines – it is not a formal profession in spite of what some people may claim. Considerable progress has been made toward developing a formal data management profession, but substantial tasks still remain. The path is open for some organization to take the leadership, and DAMA needs to take the initiative to follow that path. DAMA needs to choose to aggressively pursue development of a formal data management profession. 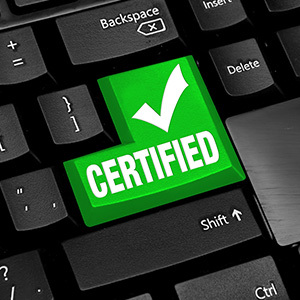 Progress has been made towards a formal data management profession and progress has been made towards a certified profession. However, very little progress has been made toward a recognized profession, and almost no progress has been made toward a respected profession. Data Resource Simplexity explains this situation and the resolution in detail. RSS: What was your biggest success with DAMA and does that success continue today? MB: My biggest success with DAMA was changing the structure of the annual Conferences. Having the chapters host annual conferences was literally ‘burning out’ the chapter. The move to a conference service provider produced many benefits, not the least of which was substantially increased attendance and networking between professionals. Building on the success of the U.S. annual conference, an annual European conference was established, which has been quite successful. The result of both conferences is an international networking and nearly universal recognition that data management is a critical function in public and private sector organizations around the world. Another major success was establishment of the DAMA International Foundation for promoting the development of a formal data management profession. Although that initiative has waned considerably in the last few years, the initial concepts and strategies are still quite valid for developing a formal data management profession. Data Resource Simplexity explains the approach and Data Resource Integration will further explain the objectives that need to be accomplished. RSS: The back of the book states that you have been in the data management industry for nearly 50 years. I do not see how that is possible. You must include years before you turned 10 years old in that 50. I guess I could ask you about how the field of data management has changed during that time but that could be a completely separate interview that could run for pages and pages. So instead I ask you … What was the “aha” moment in the last 50 years when organizations began recognizing that significant resources must be spent to manage data for their organizations? Or have we even reached that moment? Perhaps organizations are not choosing to be successful. What gives? MB: Yes, I have been in data management, in one form or another, for 50 years. I was in college at 17 and by the time I was 20 I was doing FORTRAN simulations of timber stands. We had massive quantities of data to analyze to understand how individual trees and timber stands grow. Once we determined how timber stands grow, we moved on to modeling the growth and cutting patterns of timber stands based on various management techniques. I went on from there into a wide variety of public and private sector data management activities. So, as I wave 70 good-bye, I have been in the data management arena for 50 years. Data management has changed considerably during that time. Some major milestones were Ted Codd and his relational theory, Peter Chen and his logical modeling for the business, the movement from operational data into true data warehousing and on into true data mining. I’ve had the pleasure of knowing people like Ted Codd, Peter Chen, John Cullinane, James Martin, Charlie Bachman, Ken Orr, Jean Dominique Warnier, Dan Appleton, Ed Yourdon, and many others. John Zachman has been a good personal and professional friend for many years. Yes, a review of data management over the last 50 years could fill a book. One of the biggest ‘aha moments’ for me was Peter Chen’s famous article on orienting Ted Codd’s relational theory to logical data modeling that supports the business. He was right then, and he is still right today. We need to orient the data resource towards supporting the business information demand. Another big ‘aha moment’ was John Zachman’s Framework that ties everything together in one framework diagram. My biggest personal ‘aha moment’ was the concept of a Common Data Architecture and how it could tie everything together within Column 1 of the Zachman Framework. Incidentally, that led to the merger of the Common Data Architecture concept into Column 1 of the Zachman Framework as the complete discipline for managing an organization’s data resource, announced by John Zachman and myself at the 2005 DAMA International Conference Europe. Very few public or private organizations, at large, have reached the ‘aha moment’ of managing their data as a critical resource. However, many public and private sector organizations have reached the ‘aha moment’ for managing certain segments of their data resource that are critical for the business. That moment most often comes when the pain has become so great that the business is in jeopardy. Then the organization takes action to properly manage their data as a critical resource of the organization. By and large, organizations have not yet reached the time when they realize the data resource must be managed equivalent to the other three critical resources of the organization: human resource, financial resource, and real property. Looking ahead, I don’t see a time when that is likely to happen for the majority of organizations. That situation becomes the challenge for data management professionals. As for spending significant resources for properly managing data as a critical resource – it doesn’t cost that much if the data resource is properly managed from the beginning. Building a high-quality, comparate data resource from the beginning is far, far less expensive than allowing the data resource to go disparate, living with the impacts of that disparity, and then correcting that disparity. The problems organizations face today is the high cost of the impacts of disparate data and the high cost correcting the existing data disparity. They, inappropriately, project that high cost of impacts and correcting existing data disparity to mean a high cost of maintaining a high quality, comparate data resource. That perception, plus all the hype-cycles and attitudes, is being used as an excuse for not properly managing data as a critical resource of the organization. Organizations need to realize that data are a critical resource and to properly manage that resource. They need to choose to properly manage the data resource. They have the right, the opportunity, and the responsibility to make that choice – for the stakeholders of private sector organizations and the citizens of public sector organizations. The longer they wait, the more disparate the data resource becomes, the greater the impacts to the business, and the more costly it will be to resolve that data disparity. As I state in Data Resource Simplexity, organizations can choose to start tomorrow, maybe even today, following the concepts, principles, and techniques for developing a comparate data resource that already exist. They can choose to stop any further data disparity and prevent the cost of business impacts and correcting that data disparity. They can choose to resolve the existing data disparity in a planned manner. I’m often faced with the statement that ‘quality is free.’ Well, quality is not free and I’ve proven that several times over. However, quality is far, far less expensive if built in from the beginning than it is if built in later. The cost of creating a comparate data resource is far less expensive than allowing the data resource to go disparate and impact the business, then correcting that disparity. That fact should be, but seems not to be, self-evident. Data Resource Simplexity shows how to stop any further data disparity. Data Resource Integration will show how to resolve the existing data disparity in an efficient and effective manner that does not impact business operations. Together, they provide the overall approach to creating and maintaining a high quality data resource that supports an organization’s business information demand. RSS: If you had to choose one (or maybe two or three) of the highest data and information management challenges facing organizations today, what would they be? MB: The biggest challenges facing data management today are to recognize data as a critical resource of the organization; to stop the hype-cycles; to correct the attitudes; and to develop a formal, certified, recognized, and respected data management profession. These are not easy tasks, but they are far from impossible. We come back to the fact that organizations have the opportunity to choose to accomplish these tasks. It’s interesting that data management’s worst enemy is, well, the data management professionals themselves. It’s the data management professionals that, over the years, have caused the majority of the problems we see today. Data management professionals are famous for their paralysis by analysis and for their brute force physical approach. Data management professionals are also famous for their attitudes about managing a critical data resource for the organization. I could elaborate further, but read the book! Even deeper, it’s the organization’s management that has chosen to allow the data management professionals to impact the data resource. How does this happen? Well, the primary reason is management requiring an unnecessary justification to develop a high quality data resource. In every other discipline I know, quality is a key component from the beginning. However, in data management there seems to be some need from management to require a thorough justification for developing and maintaining a high quality data resource. 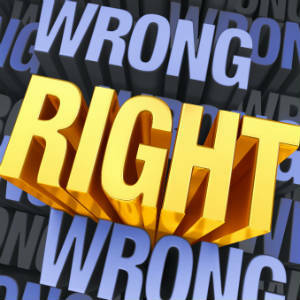 However, no justification, or accountability, is needed for the continued development of disparate data that impact the organization. Again, it’s a management choice. RSS: Can you relate that answer to the Data Resource Simplexity book and how the choices organizations make will have an impact on how well they meet those challenges? MB: Absolutely! Data Resource Simplexity addresses that very issue. It addresses the full range from the concepts, principles, and techniques for properly managing a data resource, to the choices that executive management must make to ensure that a high quality data resource is developed. It addresses both the data architecture components of data resource management and the data culture components of data resource management. Both are equally important for establishing and maintaining a comparate data resource that supports the business information demand. Incidentally, the responses I’ve received about the book are distinctly bi-modal. On one end are the people that say it’s about time someone spoke up about the problems and their solutions. It’s about time someone said it like it really is. It’s about time someone raised the flag about what’s really happening with data resource management. On the other end are the people that say “Who the hell do you think you are?” I’ll leave it up to the reader to determine who is on which end. 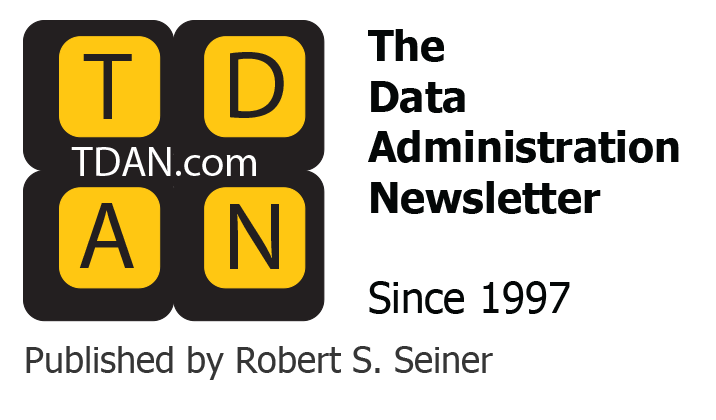 RSS: Please tell the TDAN.com audiences where they can get a copy of your book and what is next for you as you extend your years of data management service into its sixth decade. MB: The book is available through Technics Publications at technicspub.com. It’s also available through other channels. The book is 637 pages including front matter, a Foreword by Chris Potts, a Preface, 14 chapters, a Bibliography, a Glossary of 600 terms, and an extensive Index. My next step is the Data Resource Integration book which I plan to have available early 2012. It will be about the same size and detail as Data Resource Simplexity. Beyond that I have ideas and outlines for three more possible books on data resource management. Yes, I do have the material and there is lots more to say about data resource management. However, the topics of those books are not for release at this time. I also write non-technical books and children’s books (see eloquentbooks.com and search on Brackett) and have several more planned. I’m still Past President of the DAMA Foundation and contribute where I can. I was Production Editor for DAMA-DMBOK I and have been asked to be Production Editor for DAMA-DMBOK II. I have a number of other data management opportunities, but will pursue those as time and mood permits. My primary personal emphasis is outdoor recreational activities and enjoying retired life. RSS: Mike, It has been a great pleasure to reconnect with you and interview you for the pages of TDAN.com regarding your new book, Data Resource Simplexity. Best of luck with everything you do and I hope to keep hearing your name in our industry pages for a long time. MB: Bob, it’s been a pleasure to have the interview. It’s people like you and your TDAN.com that are the backbone for pushing the profession forward. Keep up the good work.